The story of Beth's disappearance is revealed and things are not good. Will we ever find good people outside our group? Apparently not. We read some listener feedback and find that a lot of people didn't like this episode. We give our take on it. Even though one of us was away, we still managed to get an episode out this week. Yay! Remote podcasting via skype was cool but we both prefer the face to face interaction. Check out this episode and give us feedback. 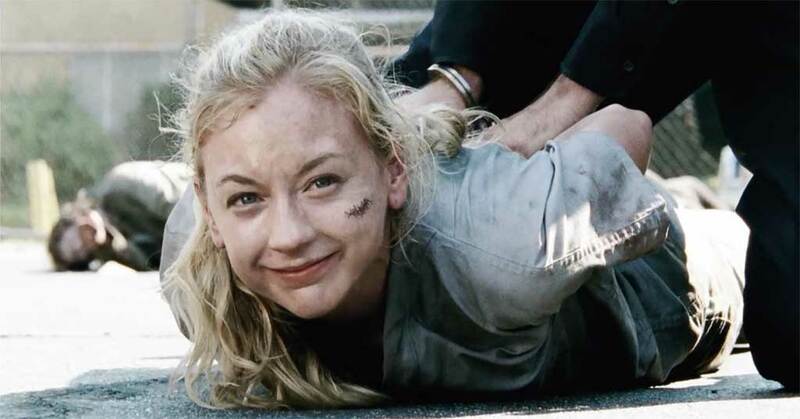 I enjoyed the episode but I really wished it was not only centered on Beth. It seemed more like a filler episode to give the other actors a break. Why did Beth and the young black guy have to use the “Death Shaft” elevator shaft to escape? Why didn’t they just sneak out the same way they came in? How did that building still have power? I understand generators but even the CDC ran out of fuel long ago, how did this hospital still have fuel? The whole episode could have been done in just a few scenes and we could have progressed Rick and his groups story line at the same time. How will Beth feel about Maggie leaving her behind without even trying to find her? Can’t wait to see what happens next. But I agree that it seems too easy at the hospital. I mean they even had fresh strawberries in the kitchen. That’s a hell of a roof garden. One of the main rewards of this episode is the introduction of a very likeable character in Noah. Why is everyone making a big deal about a whole Beth episode?? I found it refreshing to get away from the group for a while and see what is going on elsewhere. Ppl are such babies! It’s nice to see how others have survived the zombie apocalypse. It gives us a contrast and perspective to compare our group against something else out there.